When you take your first whiff of this fragrant bowl of beef pho you will begin to salivate. You will be able to detect the fragrance of the anise, ginger and cinnamon in that broth. The beef broth is rich and full of flavor, it is the heart and soul of this dish. Pho is a Vietnamese noodle-based soup and it is considered the national dish of Vietnam. I have been told that this is what they eat for breakfast every morning. And why not? It is full of protein from the meat, carbs from the noodles, fresh vegetables, herbs, and a delicious flavorful broth. This soup is healthy, nutritious and everything you need for a good start to a day of work. Pho restaurants have been in most major cities of the United States for a few years and I have eaten some really wonderfully delicious bowls of beef pho. And, I have had a few watery, tasteless bowls of beef pho as well. 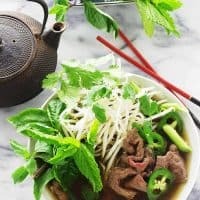 Most beef pho bowls are made with pretty much the same ingredients which include beef, rice noodles, fresh vegetables, and herbs. So why are some better than others? The difference is the broth, it is all about the broth. 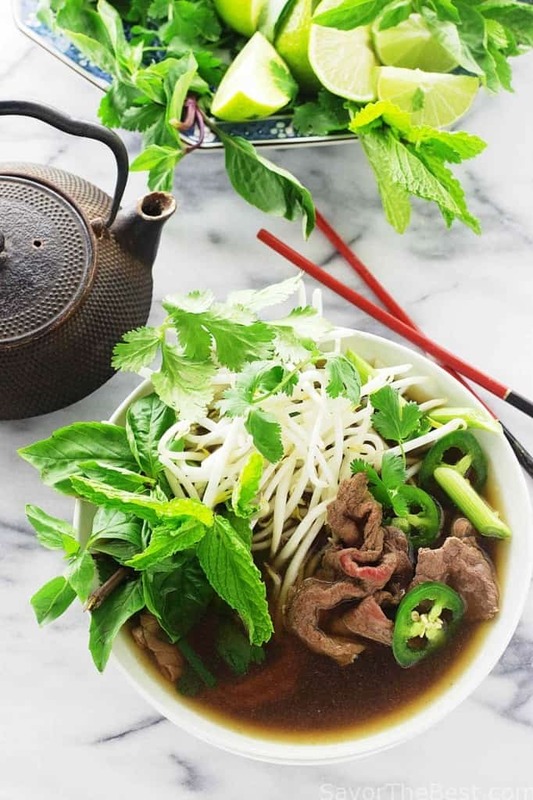 With this bowl of beef pho we start with a homemade beef bone broth that has simmered for many hours to extract all the flavors from the meaty bones and aromatics. 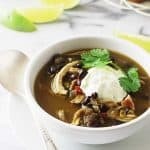 Then we use that rich, dark brown broth to further simmer it with the unique flavors of fresh ginger root, cinnamon, star anise and a touch of sugar. 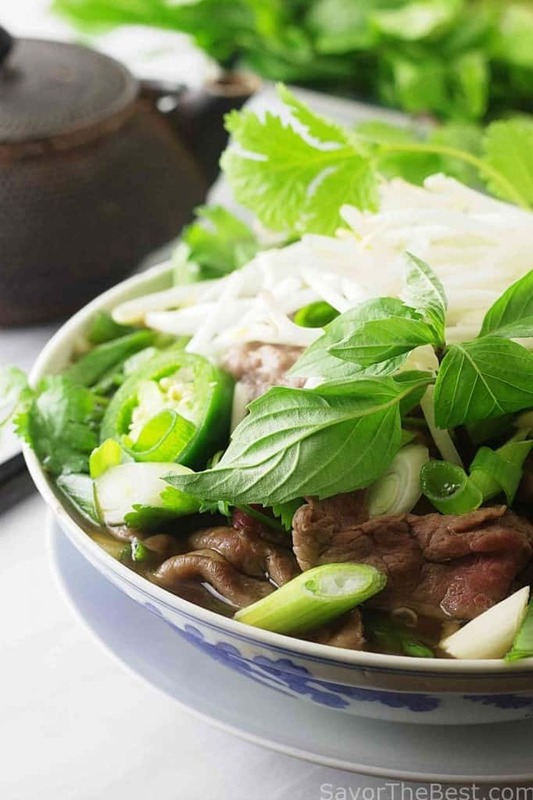 Serve the beef pho in a large, deep bowl layered with hot noodles, green scallions, cilantro and thin slices of beef. The piping hot beef broth is ladled over the beef which cooks it perfectly. It is served with a large condiment platter of fresh crisp vegetables and herbs including bean sprouts, Thai basil, cilantro, mint, sliced jalepeno peppers and a whole lot of lime wedges. The condiment platter is passed so each guest can make up their own bowl, heaping it full of these delightful textures and flavors. Dishes of fish sauce and hot Asian chili sauce are also passed for the guests to add to their taste. This is how it is served at the Chinoise Cafe in Issaquah, WA Yum! Beef pho is served in a deep bowl and layered with hot noodles, green scallions, cilantro and thin slices of beef. 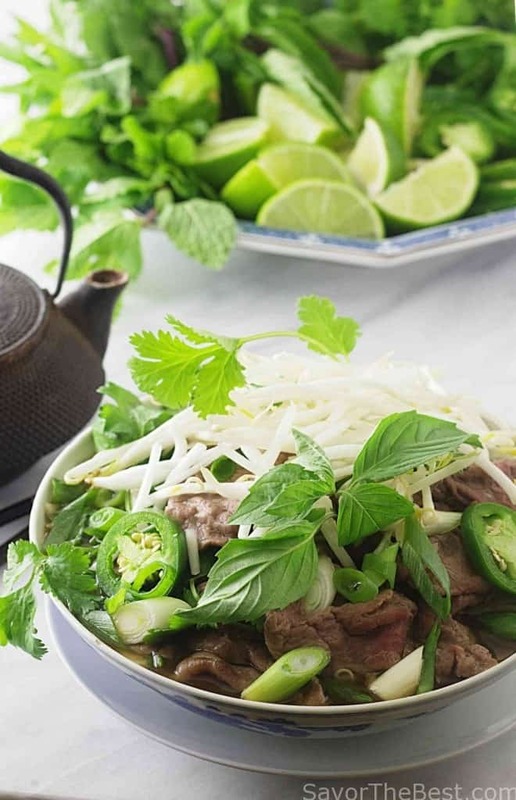 A rich, hearty, piping hot beef broth is ladled over the beef then condiments of Thai basil, mint, cilantro jalepeno peppers and lime wedges are passed to guests to add and enjoy. Using a large stock pot, add the beef stock and bring it to a boil over high heat. Add the fish sauce, ginger root, cinnamon sticks, star anise and the sugar, reduce the heat to low and simmer for 30 minutes. Arrange the basil leaves,1 bunch of the cilantro, mint, bean sprouts, lime wedges and sliced jalapeño chiles on a platter and reserve as condiments when the pho is served. 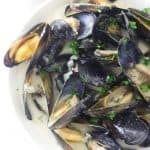 Fill a large saucepan with water and bring it to boil over high heat. Add the rice noodles and cook according to the manufacturer’s directions. While the noodles are cooking add the following to a plate and reserve until the noodles are cooked: Slice the beef as thinly as possible…if the beef is partially frozen it will slice easily. Slice the green onions on a diagonal about 1-inch. Cut the 1/2 bunch of cilantro into large pieces. Drain the noodles and add an equal portion to 4 large bowls, add the green onions and chopped cilantro. Divide the slices of beef equally among the bowls, placing them in one layer on top of the green onions and cilantro. Remove the ginger root, cinnamon sticks and star anise from the beef broth and ladle the piping hot broth into the bowl. The hot broth will cook the thinly sliced beef. Serve the bowls immediately and pass the platter of condiments and the chile sauce. Most butchers in a grocery store will gladly slice the beef for you, or, it may be available packaged as sukiyaki beef. 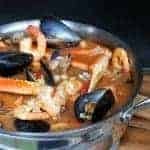 This looks delicious, I hope to make this one day! You’re so right — bad broth, bad pho. This is such a pretty dish, isn’t it? Definitely deserves your terrific broth. Thanks so much.